Welcome to Galveston Island! Home to some of the best Saltwater Fishing in the Gulf of Mexico. Where awesome memories are made, and bucket list are checked off daily! 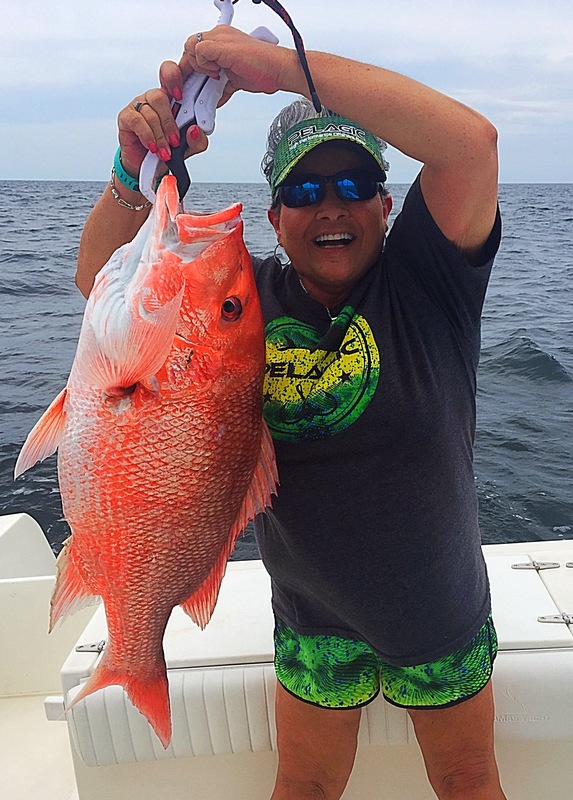 We are a family oriented Galveston fishing charters service in Galveston, Texas. We are dedicated to providing you with a safe and enjoyable day on the water. 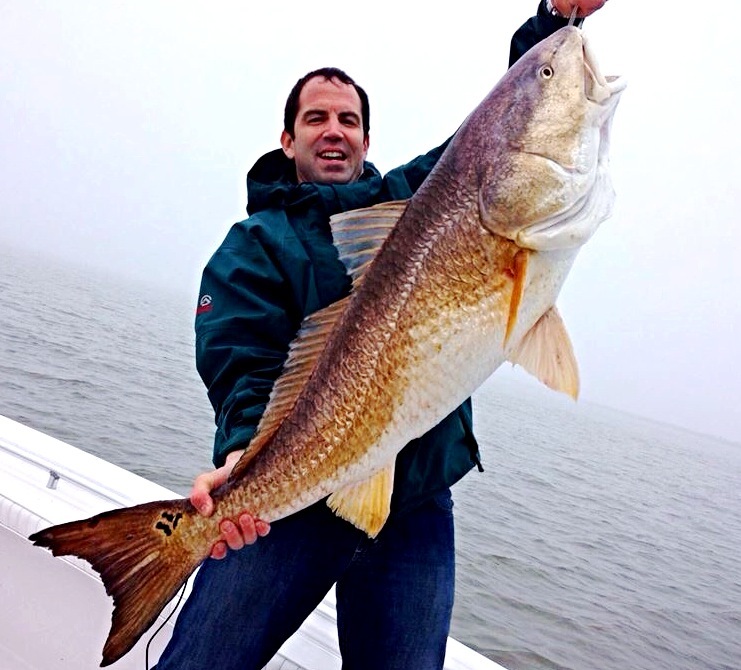 With over 30 years of experience with fishing and Galveston Fishing Charters in the Gulf of Mexico and Galveston Bay. B & B Sportfishing, LLC operates under the Trade Name of Wave Dancer Charters who is Federal and State Licensed. Insured and hold all required permits to operate a legal Gulf of Mexico Charter Fishing Service. 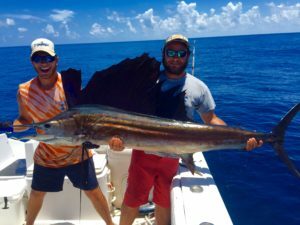 A Private Fishing Charter Company with charter fishing trips for up to 6 people per boat. Wave Dancer Charters has multiple boats and offer custom trips for large groups, corporate events, bachelor parties and more. 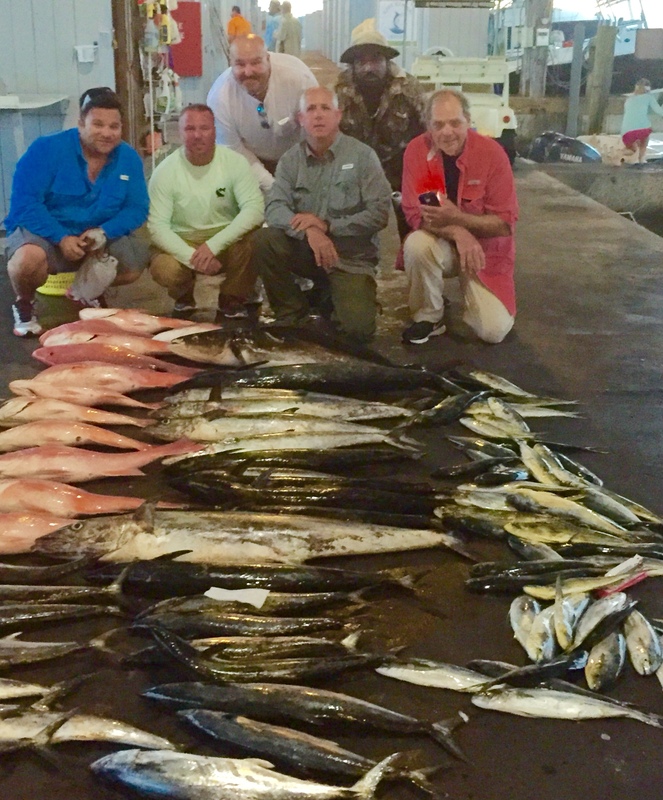 This is our BEST Deep Sea Fishing Texas adventure! 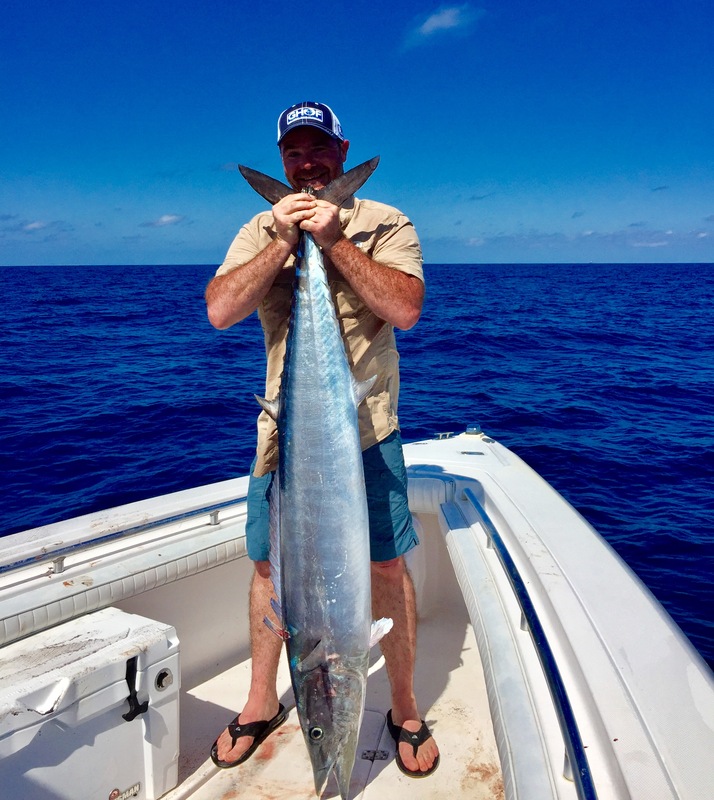 Some of the fish caught on this trip are: King Mackerel, Dorado (Mahi Mahi) Cobia (ling), Red Snapper, Grouper, Barracuda, Tuna, Wahoo, Amberjack, Sailfish, Sharks and more. This deep sea fishing Texas trip is all-inclusive. We provide the fuel for the boat, bait, tackle, rods & reels, cold bottled water for your thirst, ice for your catch, knowledgeable captain, and deckhand (mate), fish cleaned and packaged when we return for your trip home. All you need to provide is a Texas all water fishing license for the day (17 and older) they are $11 per person who lives in-state and $16 per person whom live out of state. A cooler to take your catch home in and your snacks, lunch, drinks. The close offshore jetty system has been in place in the Galveston/Houston Ship Channel for over 150 years and is home to many different species of fish, such as different species of Sharks (blacktip, bonnet head, bull shark, hammer head, sand bar, tiger, nurse, dusky and more), Redfish, Black Drum, Stingray, Jack Cravelle, Cobia, Tarpon, Gafftop, Spanish Mackerel, Flounder, Mangrove Snapper, Sheepshead, Speckled Trout, Sand Trout, Whiting, and Croaker Just to name a few of the fish we catch on this trip. Half day trips are done twice a day at 7:00am and 1:00pm. You will only travel about 15 minutes to our fishing spots where we start your fish catching experience. Sometimes we move around a time or two to get on better fish but each spot is not for from the next. We will fish for about 4 hours before returning to the dock where we will then clean and package your catch for you to take home. *A $200 Deposit is required to book your trip.